Why’d You Only Text Me When You’re Drunk?! 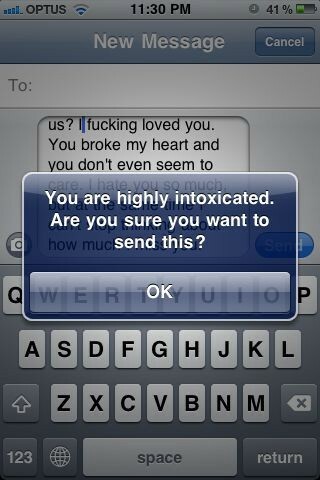 Male or female, sender or receiver, we’ve all been involved in the classic drunk text scenario. Even your man from the Arctic Monkeys does it when he’s high! It’s a Saturday night, you’re out in a club and you think ”My god do you know what I should do? I should text _____ now and see where they are”. Realistically ____ is usually someone you fancy or worse, an ex. Never would you ever text them sober but sure six vodkas later and it seems like the best idea you’ve ever had. 1. The Crush – Nothing like a bit of Dutch courage to get the finger out(literally) and start texting. If it’s someone you fancy and you don’t have their number you might go as far as sending them a Facebook mail. You’re drunk, everything seems like a great idea and that’s definitely not creepy at all. Sure you just want to know if they’re out tonight. 2. The Ex – A classic. It’s never a good idea but you’re drunk so you do it anyway. 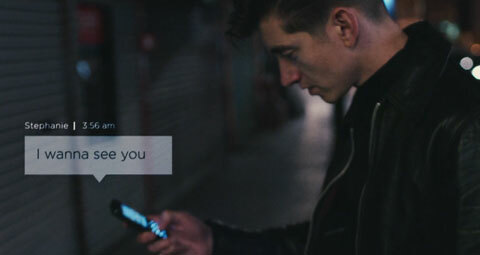 Most likely you’ll text them to tell them how much you hate them and what a p***k they are. Sure while you’re there you might as well see if they’re out tonight. It’s always to see if they’re out tonight. If you’re going to do the ‘drunk text’ thing you really need to start putting in the groundwork quite early on in the night. It doesn’t have to be anything too obvious. The boys usually give a subtle ‘like’ on the girl’s Facebook picture – this ensures they are on her radar. The ladies might send a Snapchat of their drink just to let a certain person know that they’re out and alcohol is involved. Once you’ve laid the foundation you can start the texting. You might even be guilty of sending them a random message that makes no sense and then pretend it was meant for a friend. When they text back ”what?”, you can write back ”oh sorry, I meant to send that to ‘insert fake friend’s name here’ anyway are you out tonight?” – In there like swimwear! If you’ve ever been on the receiving end of a drunk text you’ll notice that they usually start coming in around 2am. This is because they want to get their message in there before the clubs start closing. Anything later and it might be too late to get the desired outcome. If you receive a drunk text and don’t see it until the next morning, don’t bother replying. That ship has well and truly sailed. Some people are culprits for the drinking and texting habit but there’s a few things you can do to prevent yourself from being one of them. 1. Put your phone on flight mode. That way you can still use your camera but cannot send or receive any texts or calls. Genius. Unless you take it off flight mode obviously, then you’re back to square one. 2. Don’t own a phone on the weekends. Although if you’re determined enough to send a drunken message you will go home and turn your laptop on at 4am and send a drunken Facebook mail. As the saying goes ‘some things are better left unsaid’ but let’s face it, you’ll get drunk and say them anyway. 3. Ask your friend to hide your phone – just make sure they’re not so drunk that they can’t remember where they hid it the next day. It can easily happen. Still, a job well done nonetheless. 4. Download an app. It’s a sad day when people have to create apps to prevent other people from drunk dialling. 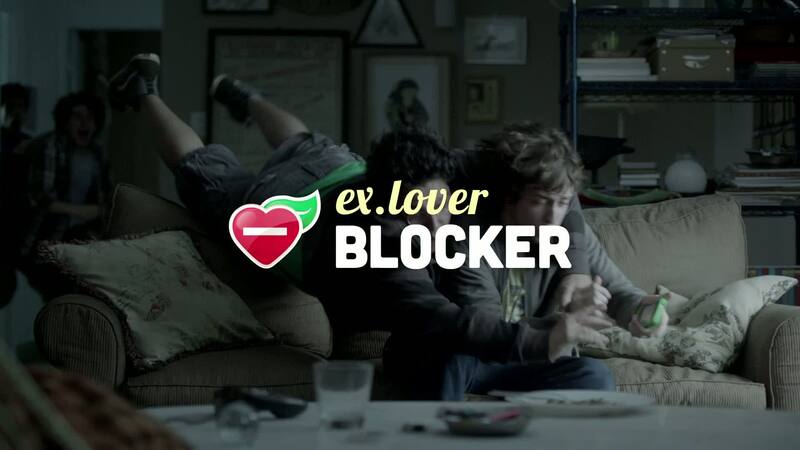 ‘Ex-Lover Blocker’ is a new app that prevents you from texting a certain number and if you do try to text, the app will notify three of your assigned friends. Also, it’s connected to your Facebook so if you do try to text the restricted number it will update your status letting everyone know that you’re drunk and trying to text your ex- the shame. Harsh, but clearly necessary for some people. < Previous The Friend Zone! Next > You’re So Vain, I Bet You Think…. Somebody should really take my phone away when I am drunk!